The perfect spicy party snack! Very quick to cook and makes a great presentation. 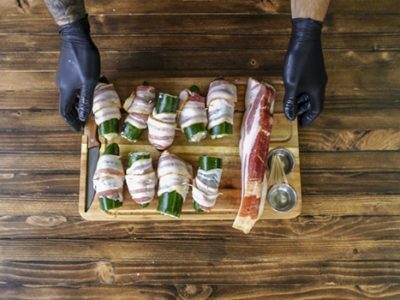 This recipe will hands down be the best poppers you have ever tasted. -Preheat your grill to 190°C. 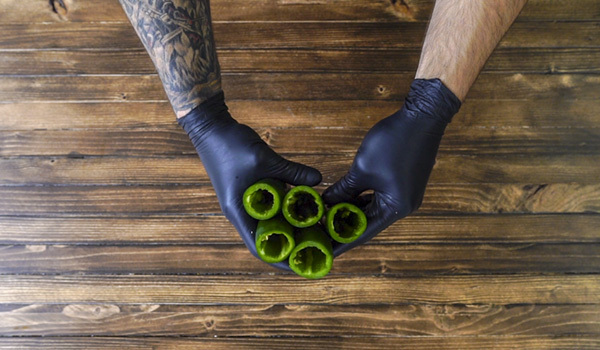 -Chop the tops off of your Jalapeño and scrape the seeds out with a knife. -In a medium bowl, mix the cream cheese, minced garlic, and shredded cheddar. Blend these ingredients together until it is evenly mixed. -Take your Jalapeño and stuff them with the cream cheese mixture about 80% of the way full. -Cut the sourdough slices into squares and stuff 1 bread square into each Jalapeño to keep the contents inside. 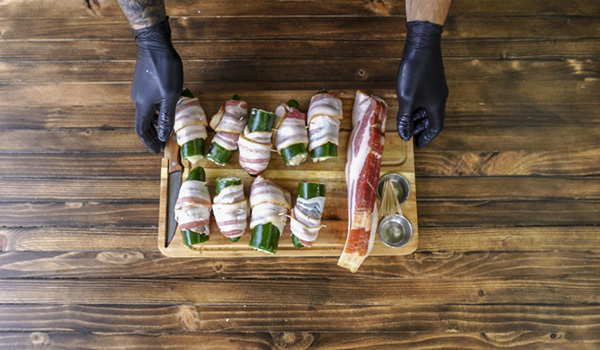 -Wrap each pepper tightly with a bacon slice and try your best not to overlap. This will insure the bacon cooks evenly. -Slide 2 toothpicks perpendicularly into each pepper to hold it all together. -Cook the peppers at 190°C for 60-75 minutes, depending on how crispy you want the bacon. I find the longer they go, the better. Enjoy!